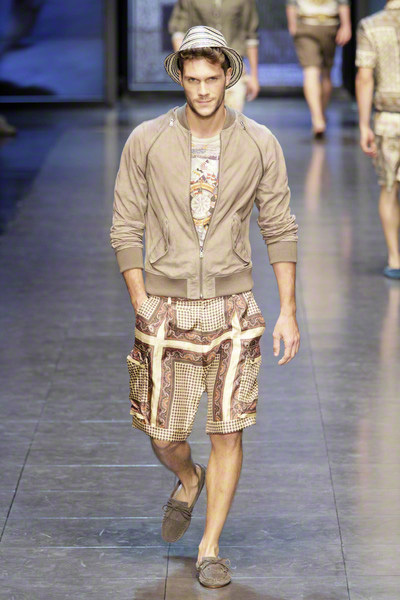 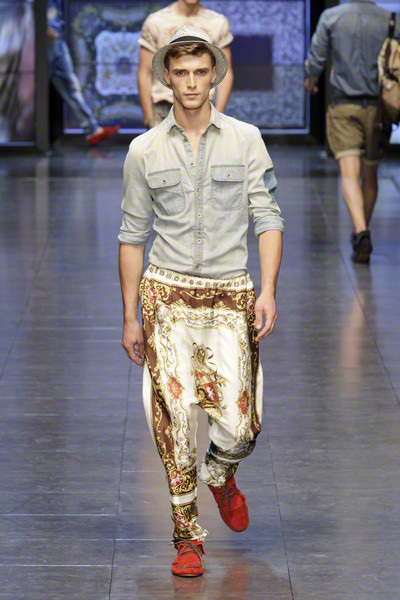 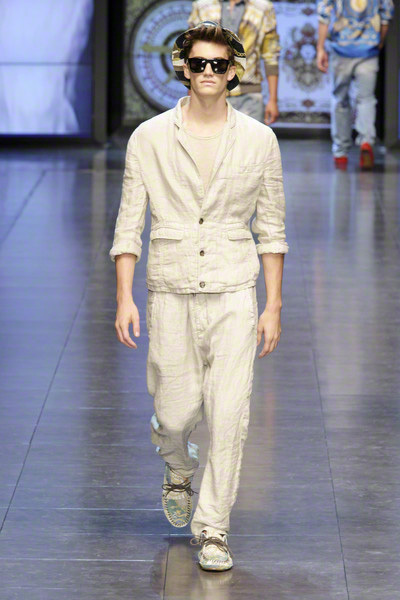 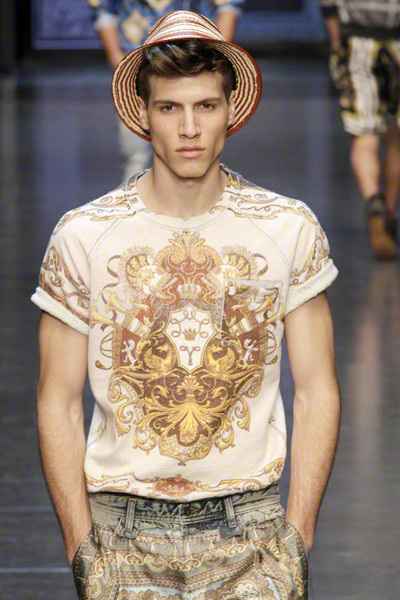 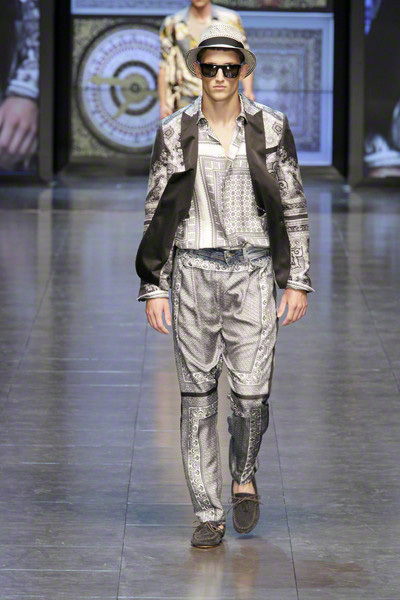 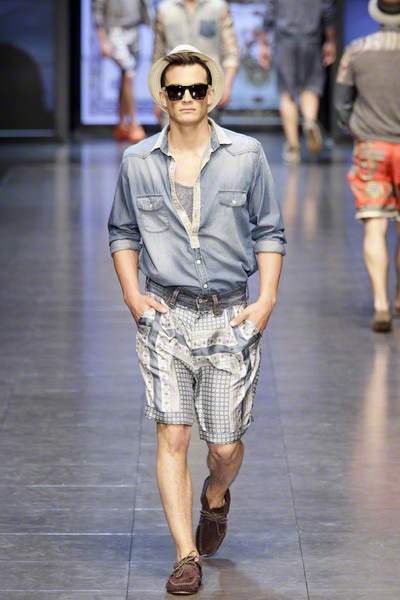 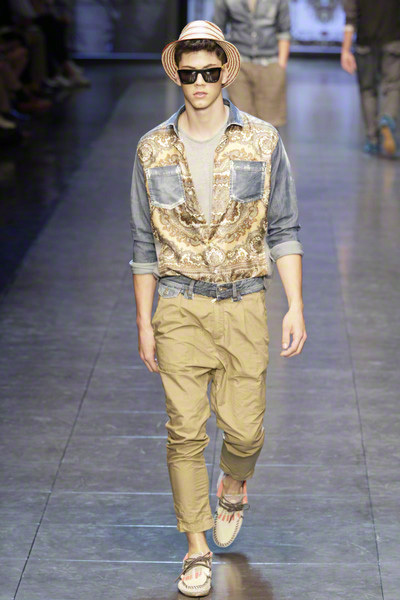 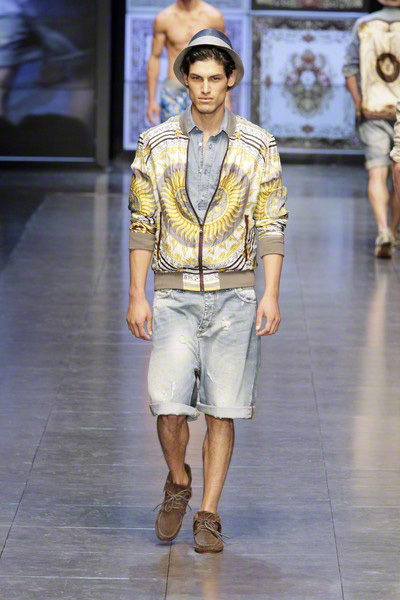 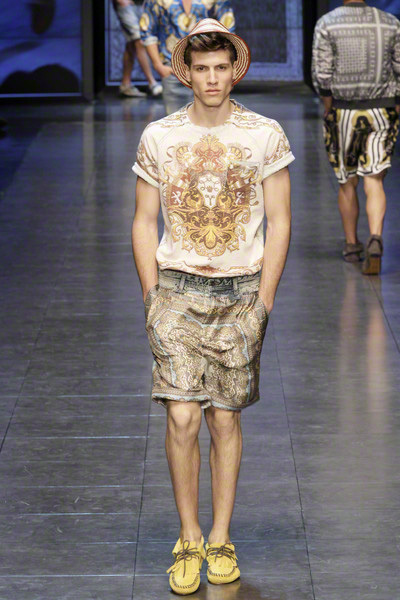 The D&G- ss2012 show brought us back to the years that Gianni Versace reigned men’s fashion with his large foulard-prints. 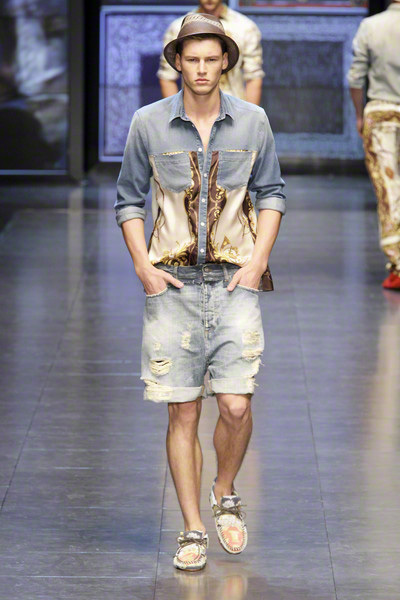 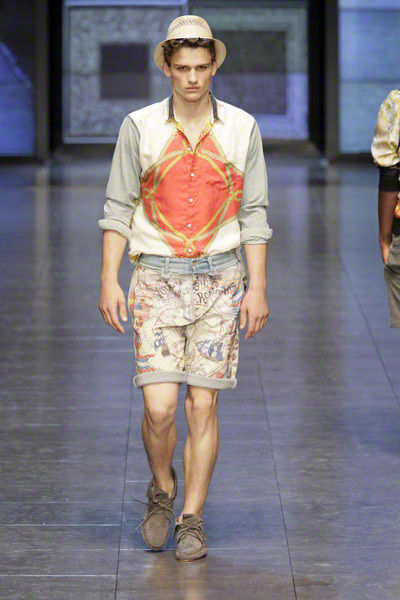 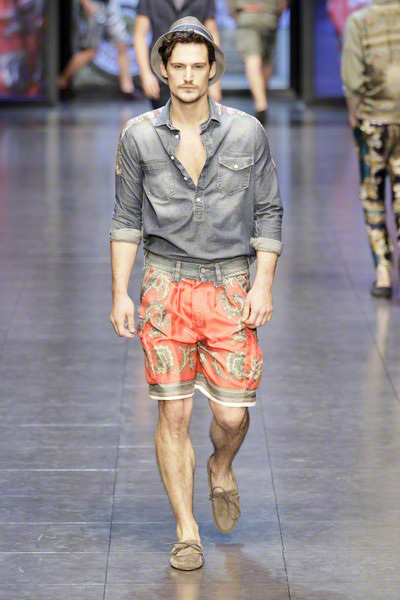 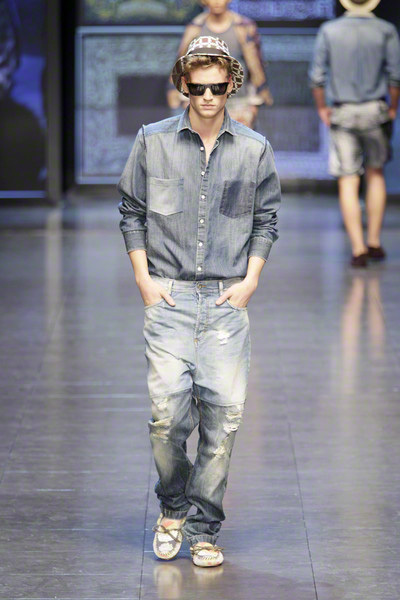 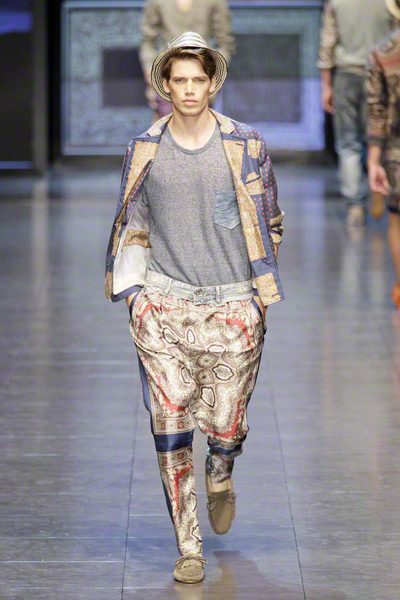 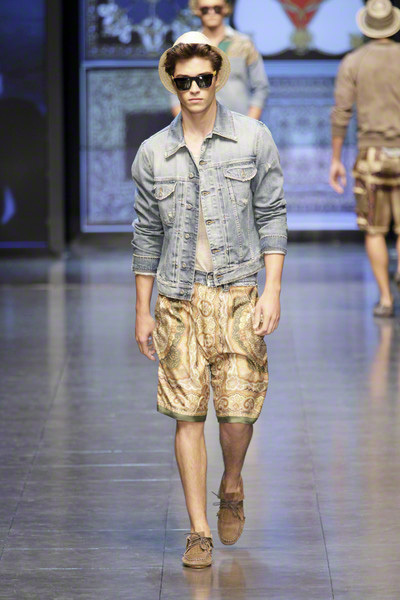 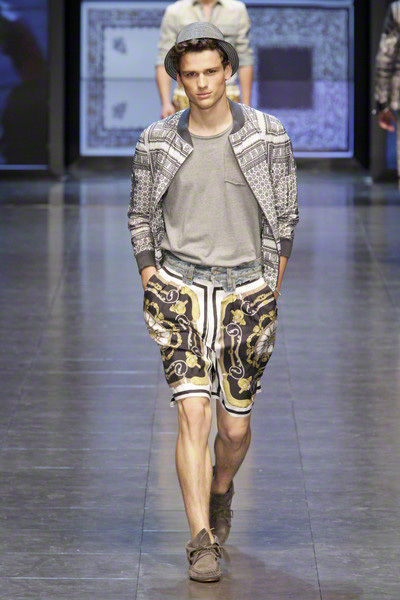 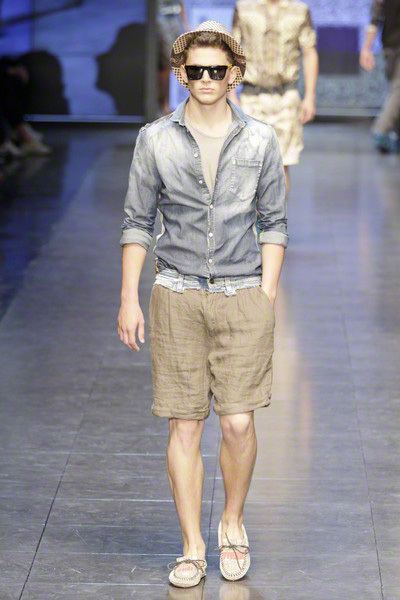 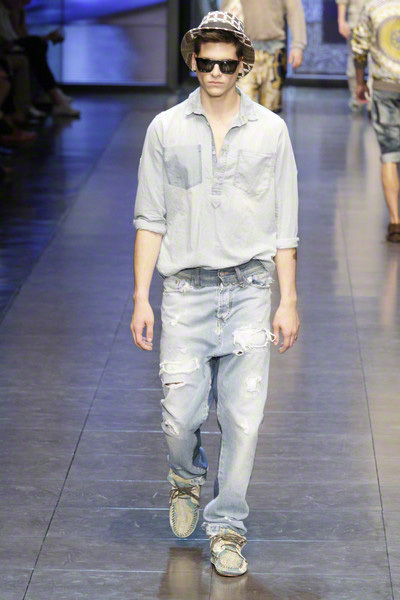 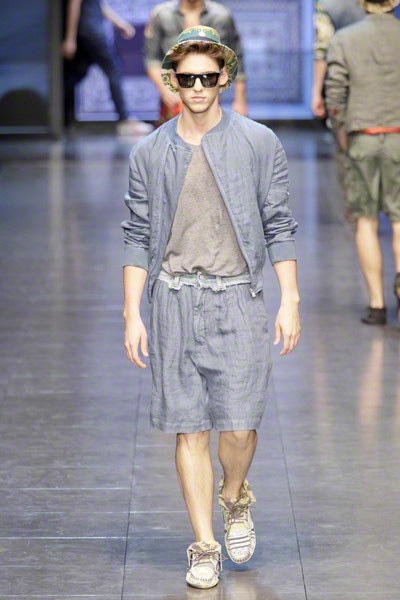 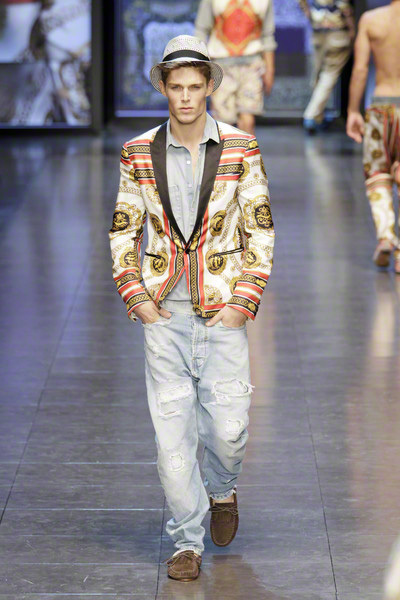 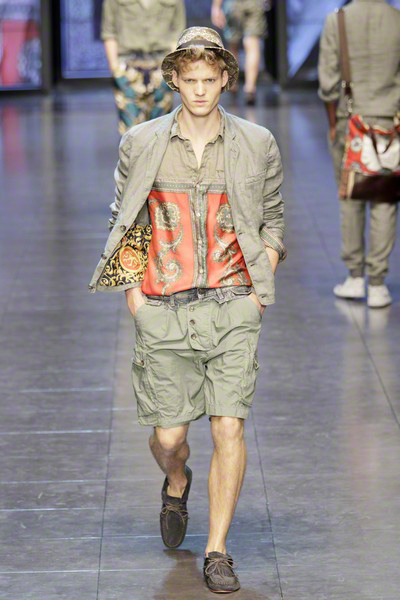 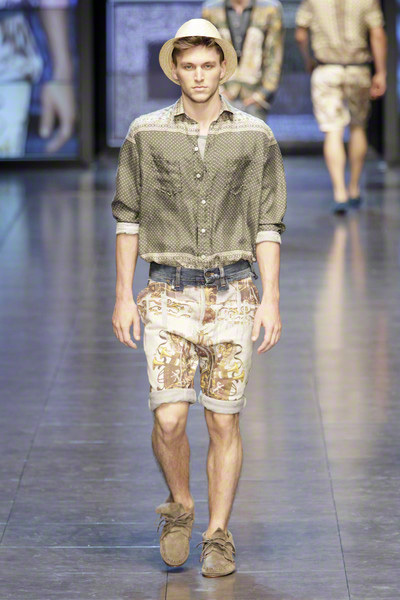 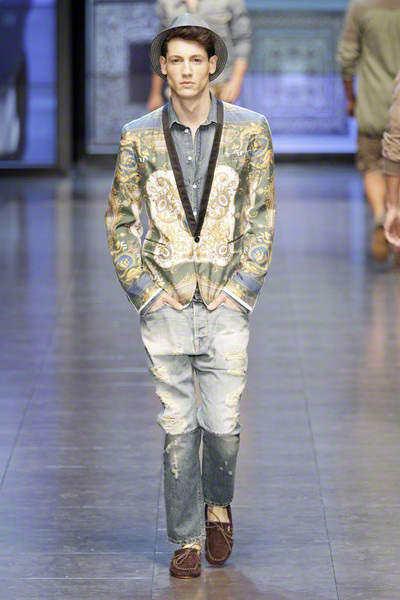 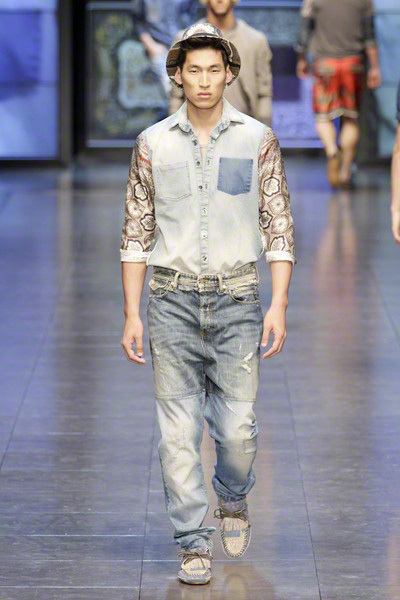 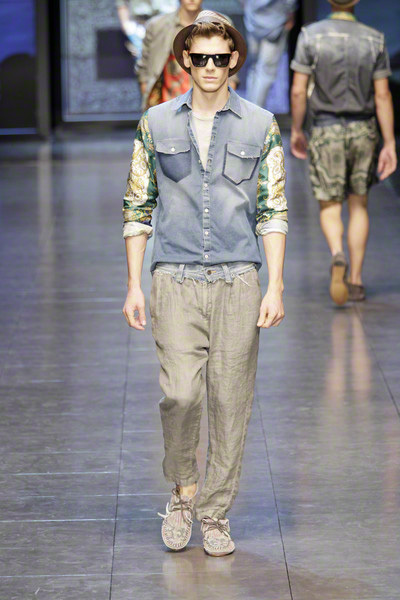 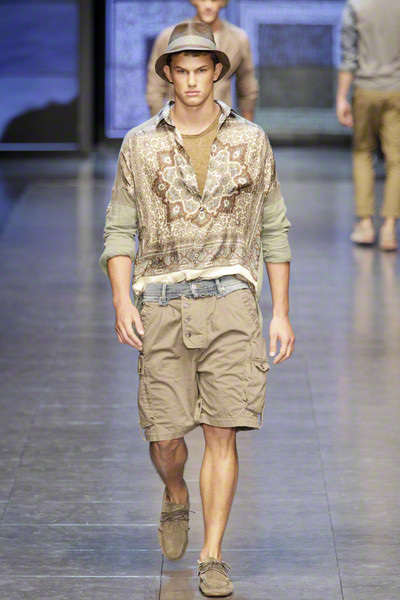 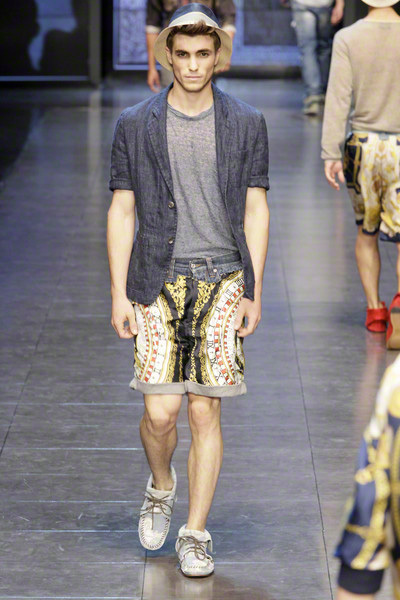 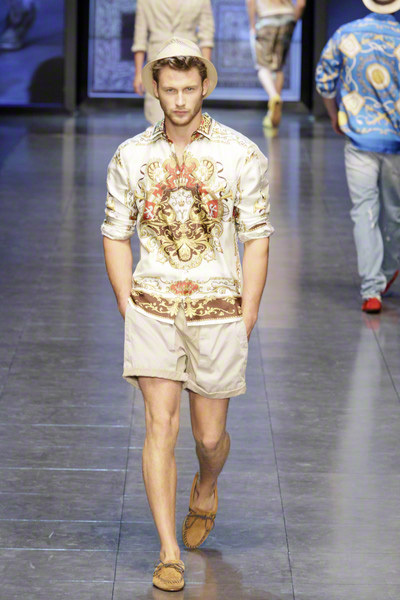 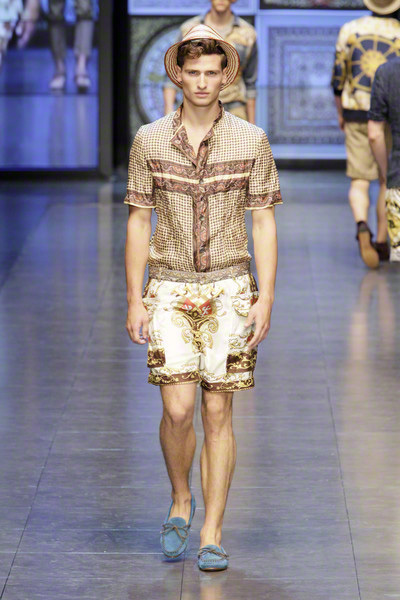 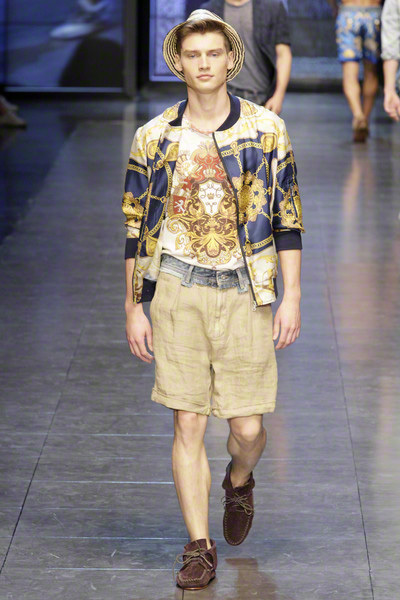 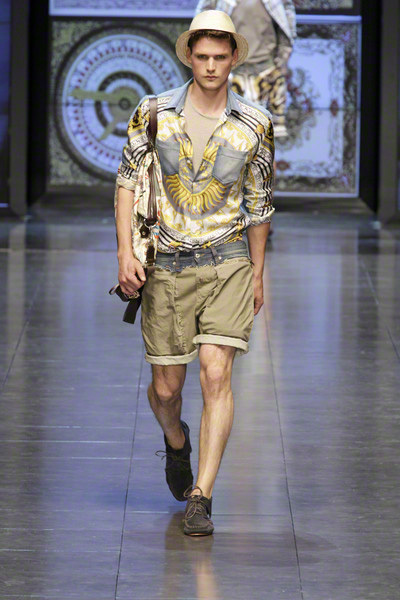 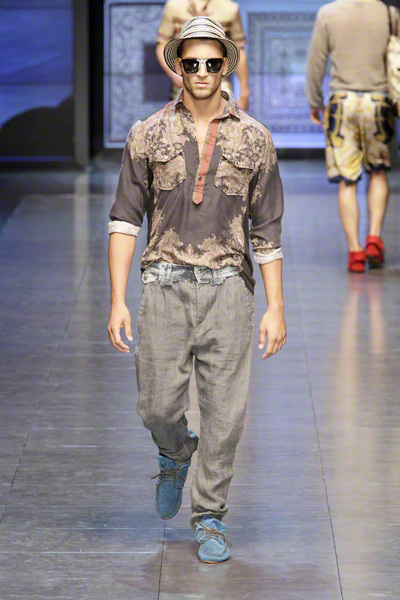 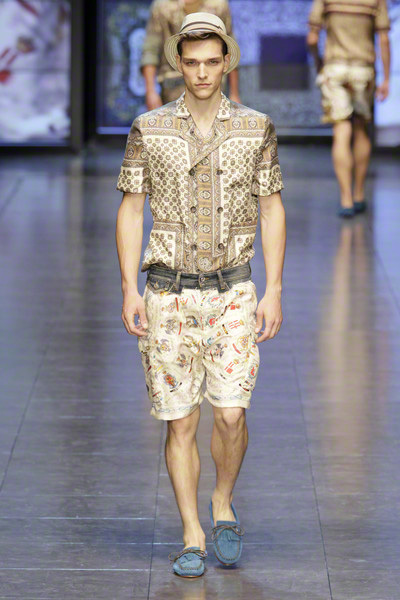 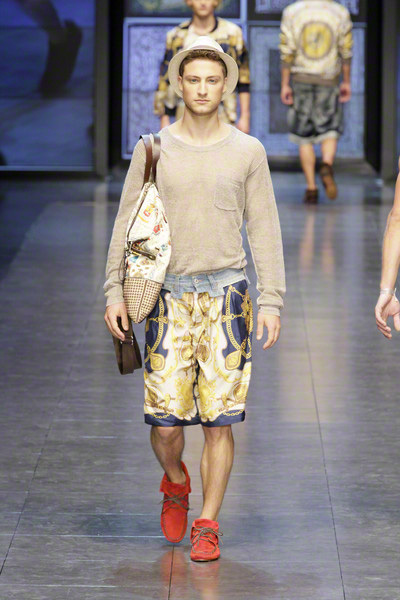 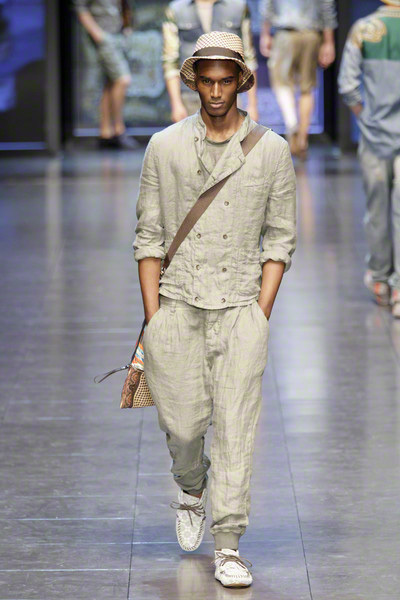 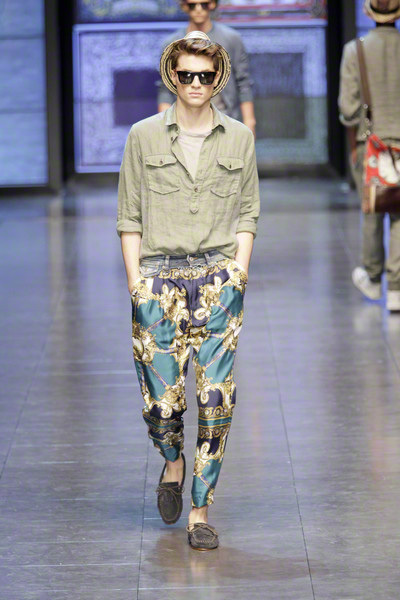 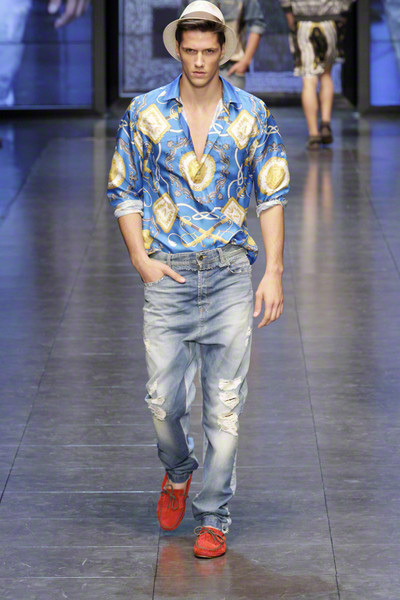 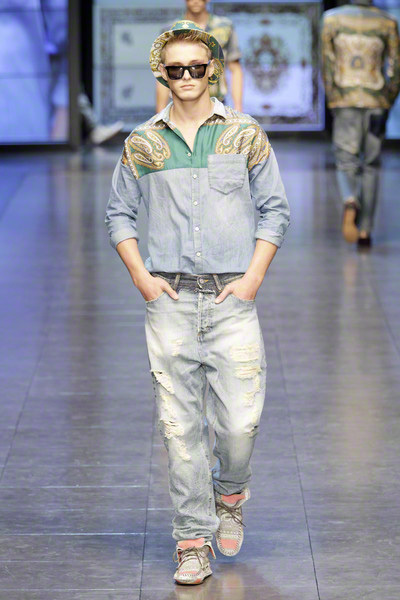 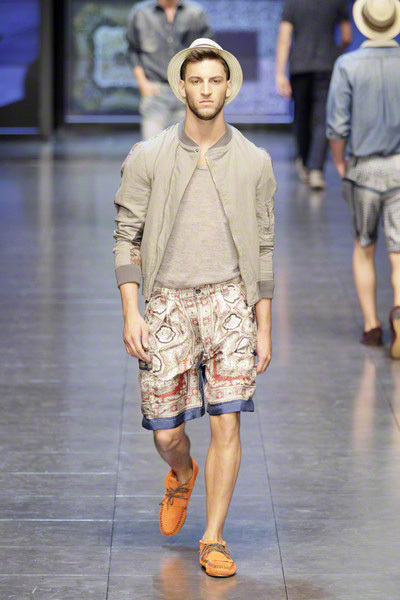 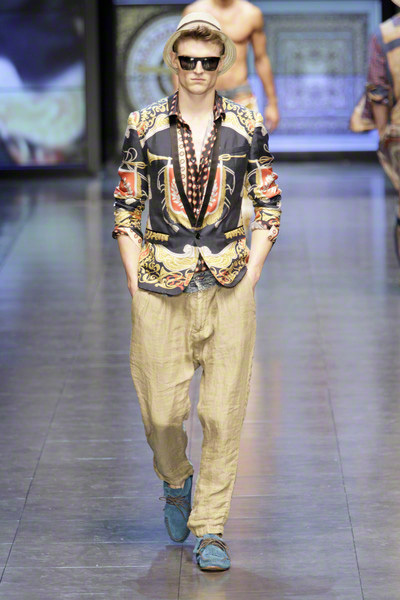 But the designers at D&G went a bit further, they not only used the prints for shirts, they also mixed them with denim in pants, showed them on bermudas, hats, suede moccasins, jackets and T-shirts. 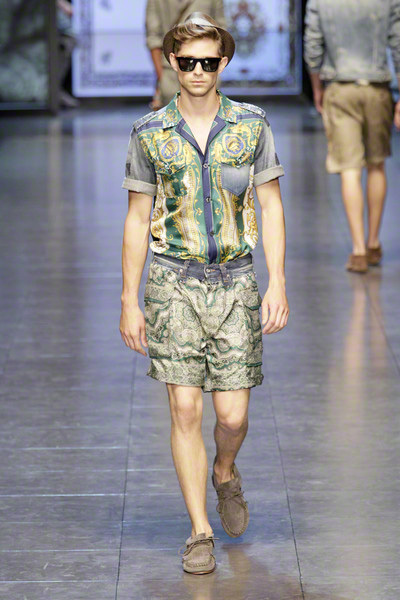 And every which way and loose, loose being the operative word for flowing shirts, low-crotch pants and roomy swimming trunks. 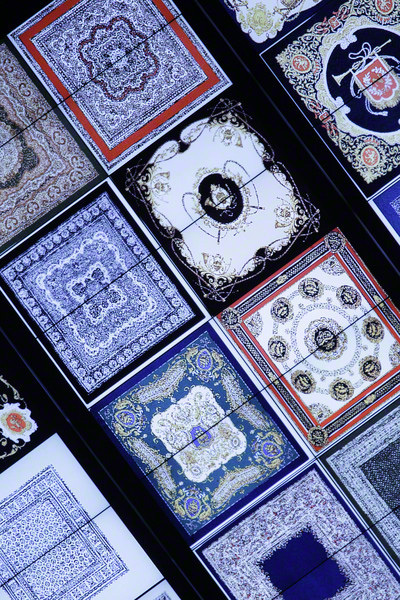 We’ve got the message indeed. 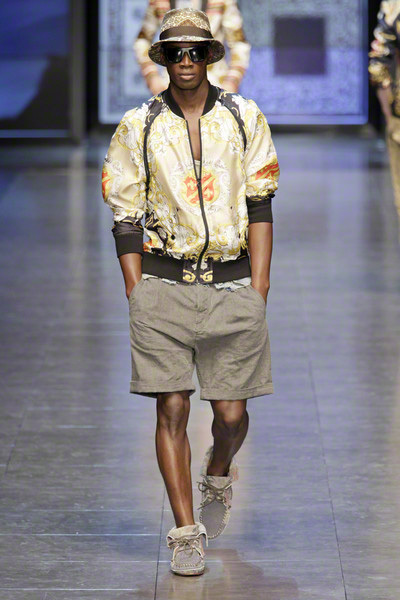 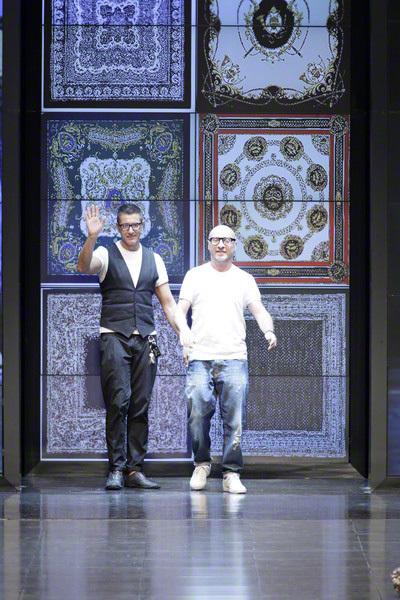 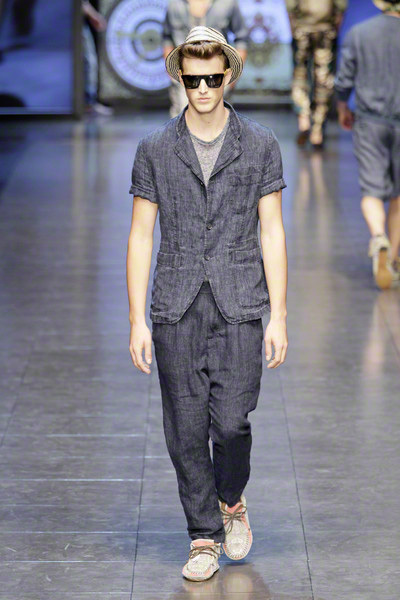 This is the last D&G collection before it is integrated with the main label. 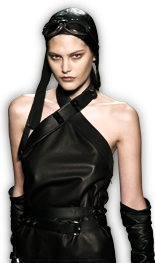 So we’d better enjoy it.